We made our way down the 1000 steps to this little beach just South of Laguna. The sand was warm and as fine as it can be, and the water was sparkling golden as the sun creeped closer to the horizon. Hannah + Chase are playful, sensual and intimate. 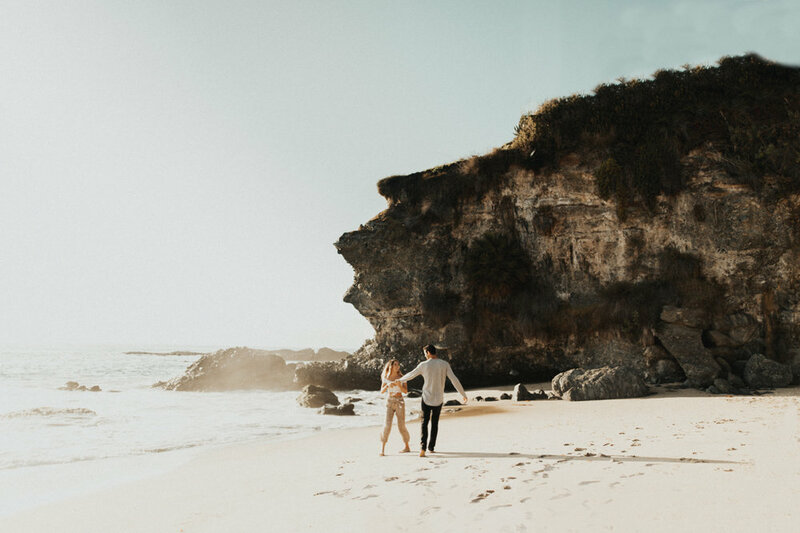 It was the kind of shoot that doesn't feel like i'm working at all, everything was natural and comfortable, Hannah + Chase dancing around one another, sneaking kisses even when i'm not pointing my camera at them, and rolling around in the sand laughing from joy of just one another.